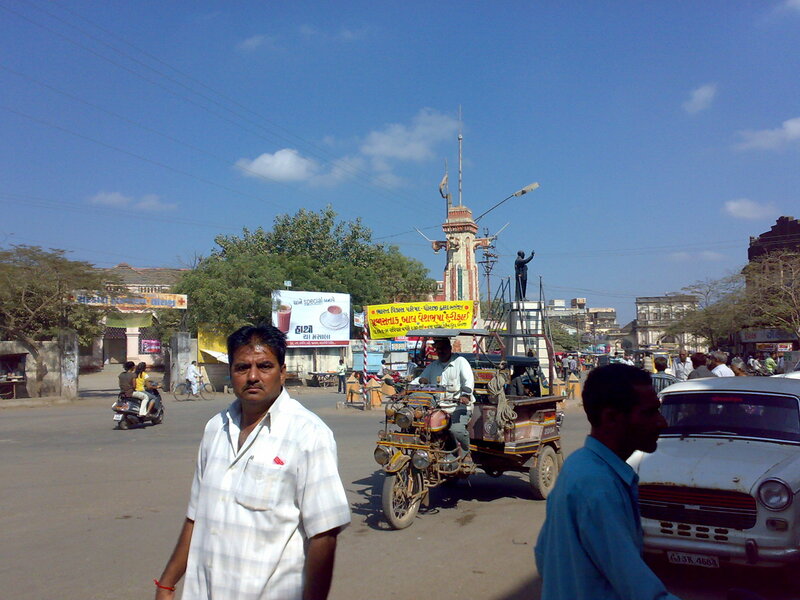 DHORAJI - A fusion of European and Indian town planning. 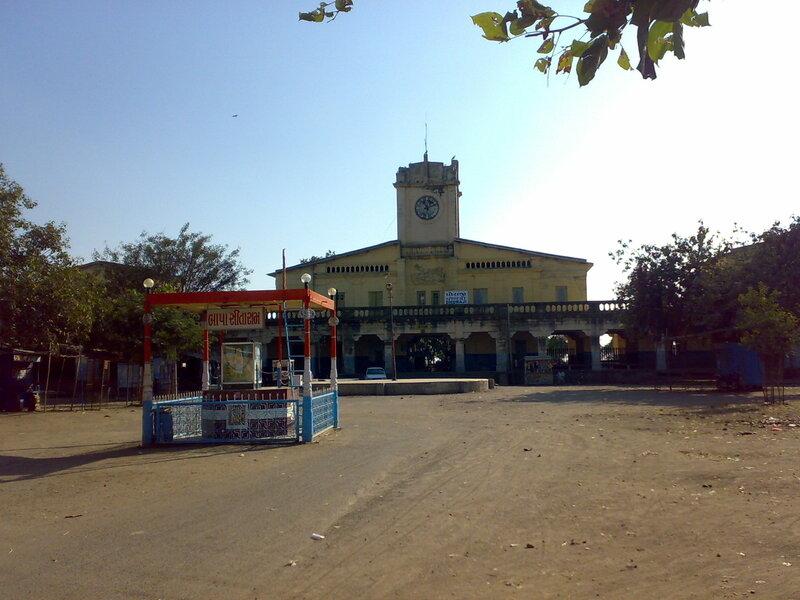 Dhoraji is a large and flourishing town on the bank of the river Safura, a branch of the river Bhadar. The massive fort wall has several bastions, 4 main gates and 3 Baris (small gates).The four main gates are - Kathiawadi Darwaza in east, Porbandar Gate in west, Halar Gate in north and Junagadh Gate in south. 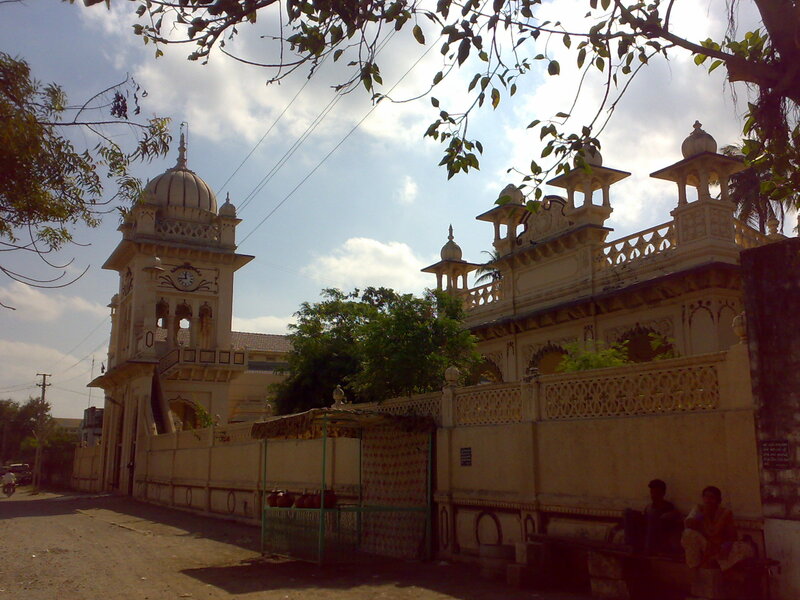 The smaller gates are- Darbari Bari, Bhimji Bari and Sati Bari. Darbargadh is located at the highest point in the town and is approached by Darbari bari; a beautiful gate adorned with a jharokha, resting on rackets of 4 elephant statues in different poses. A finely carved entrance gate leads to the Darbargadh in the middle of a courtyard. Darbargadh is three complex geometric patterns, images of sitting lions in different postures on long eaves, profusely carved pillars, horizontal friezes, decorative kanguras and windows framing skyline. It is designed like a jewel box-in the same architectural style of Navalakha Palace at Gondal. The temple of goddess Ashapura is located on the left of Darbargadh. 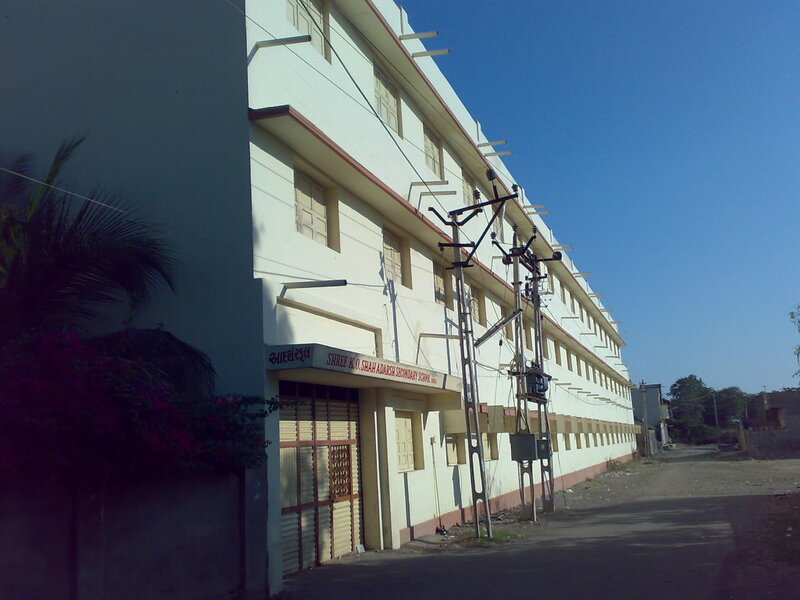 At present, the royal campus badly needs conservations. Not very far fro the Darbargadh, one can walk into the streets having some of the most beautiful houses of wealthy Memon merchants. 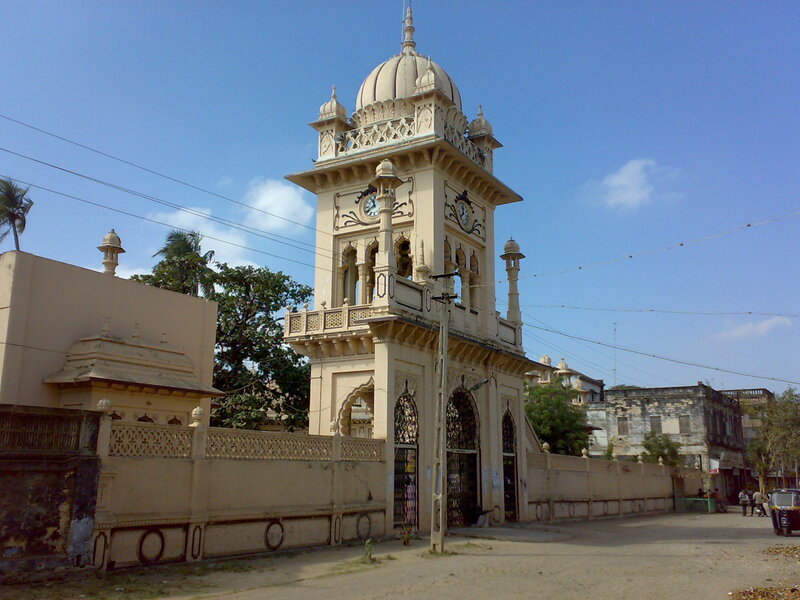 Sir Bhagwatsinhji, the noble ruler of Gondal State was born at Dhoraji Darbargadh. He was a fellow of Bombay University and received honors from Edinburgh university. During his extensive travels to Europe and England, he was greatly impressed by Paris and got interested in the principles of European town planning. 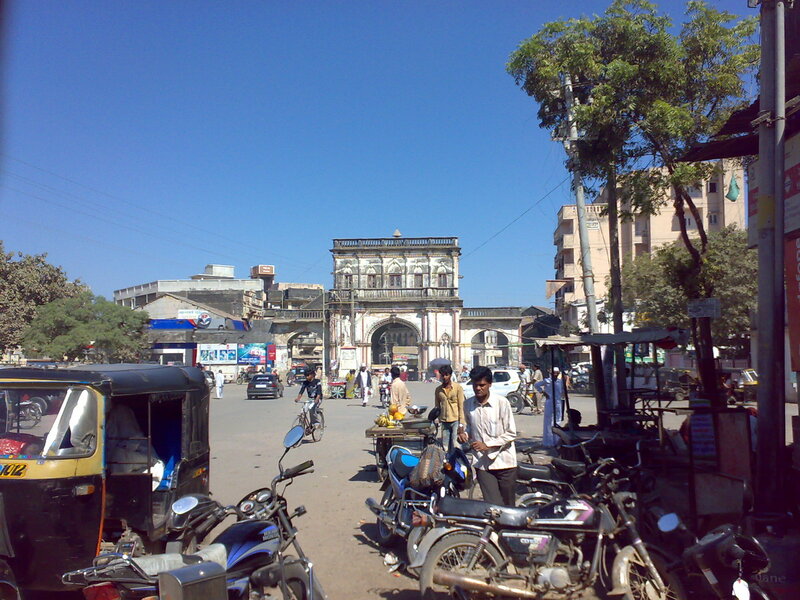 On his return to Gondal, he established a town planning department and in the late 19 th century, introduced town planning principles to regularize and monitor the growth of the fortified towns of Gondal, Dhoraji and Upleta. In this picture you can see Tran Daravaja (Three Gates) and Dr. B.R. 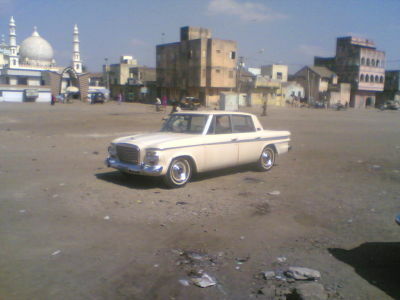 Ambedkar statue in back ground. Observe Gujarat Special Chakado in the center of the picture. 3. 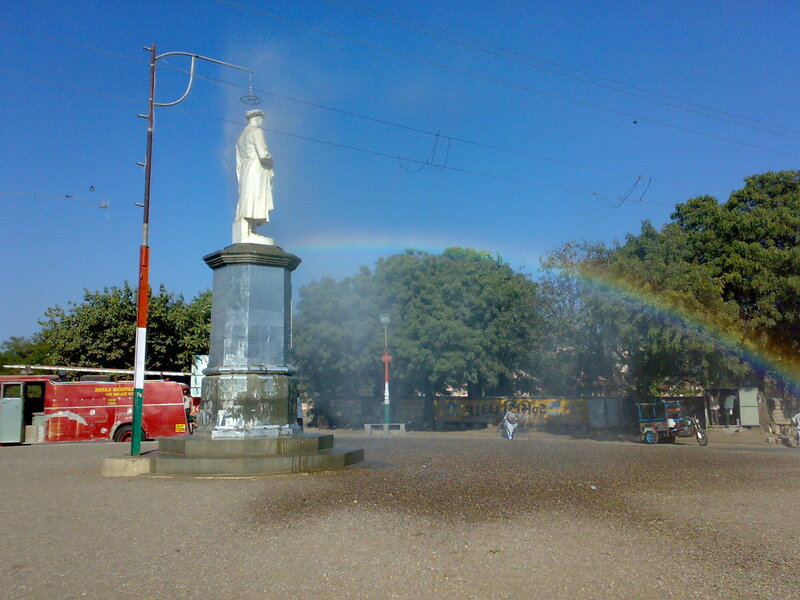 Statue near janata bag. Observer Rainbow in the middle of the picture. Thanks for the feebback. Keep visiting the link for new pictures. Today, there have been 15990 visitors (37478 hits) on this page!